The PRD Ceramics team is made up of a group of professionals who collectively have over 15 years experience in the property renovation and building trade. 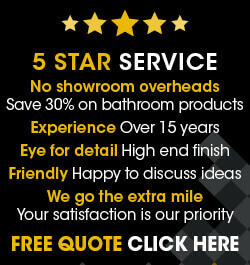 Our wealth of experience is the core behind us being able to offer a bathroom design, fitting and tiling service as opposed to pigeon holing ourselves into a single trade. Piers Domleo, the founder and owner of PRD Ceramics comes from a family of tradesmen and found his love for tiling whilst spending time learning the trade from his brother who also works in the kitchen and bathroom trade. Piers decided to go it alone back in 2008 and since then has worked on a vast array of home improvement projects from kitchens and bathrooms to en suites and swimming pools. PRD offer the highest standard of workmanship which is why we ensure that all our gas engineers are Gas Safe Qualified and our electricians are NICS qualified.